Currently, most jobs demand higher training tied within a given field of career. This is the reason as to why the education system has come up with online enrollment offering degree programs and online courses that are cheaper compared to traditional education. This new phenomenon has been actualised by the internet which has come into its own. As a result of this popularity, many more colleges and universities are providing this type of educational opportunity to many all over the world. The following are the main reasons compelling individuals to acquire education through online means. There are several reasons that would make an individual be unable to pursue his/her career through traditional classroom environment. In most cases, such students have been sidelined. One might be taking care of a sick relative; another would be in for incarceration, this would interfere with attainment of education to that particular person. And therefore with the online options, these students no longer need to be left behind. Online learners appreciate the ease and opportunities provided to communicate with their supervisors and lecturers. This is often difficult to get the attention of a teacher in the tradition systems, and if you do, you may not be willing to be heard by the entire class. Online systems provide structures whereby students can communicate privately and instantly through emails and messages to their teachers making them feel connected and supported. Online learners enjoy an equal share of thoughts and ideas. When studying online, the ground is leveled and opportunities put in place such as giving views on videos, posts and student assignment or getting involved in forum discussions. Such an environment gives learners opportunities to exploit their ideas and thoughts. To most of the learners, school is an environment with distractions all over, for example in high school most students focus on socializing and fitting in then learning. In online classes, most of the regular distractions raging from socializing, disruptive learners to intercom announcements are countered making them concentrate on their studies. The most notable advantage of online learning is learners can study at their own convenience. To some, this can mean that they can showcase their competency upfront and earn credit from the class. To others, it may be interpreted in a moving at a slower pace and getting additional supports if need be. Offering online opportunities means providing a wide range of choices. Learners are able to easily pursue study in their areas of interest. They are not tied to the staffing restrictions of their school or community. In most cases, traditional classroom setting does not encourage learners to communicate with their fellow students, as it is considered disruptive. The online environment makes it easy for learners to link up with one another and be able to discuss topics of interest at the same time. Most of the willing learners have not been able to pursue their careers due to health issues. This has been catered for by the online institutions since it has incorporated students in hospitals, those with a disability or suffering from terminal illness in the learning means. Learners with a sleeping disorder, social disorder or intestinal conditions that cannot rhyme well with the bell schedule have been considered. These are few cases in the traditional school environment that would make a learner drop out of school. Most of the colleges and universities offering online education provide good career centers that help learners to achieve their goals and objectives in life. They can help you in shaping your career by supporting you in making the right decisions. 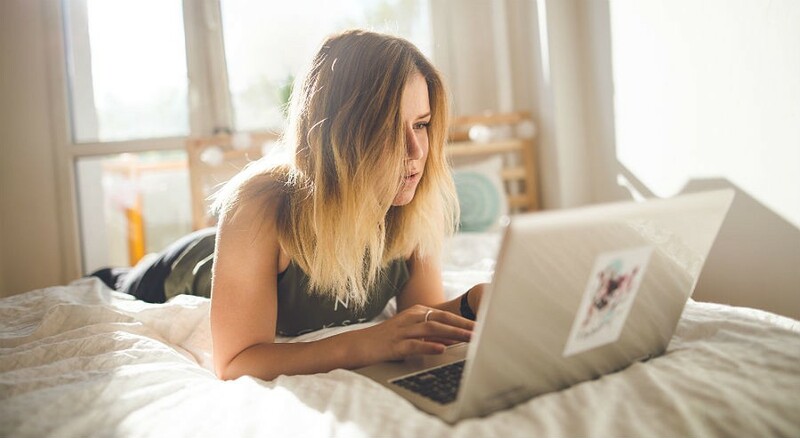 Online studying is the most convenient way of learning today, although you should put into place things that will help you to achieve your goals. As an online student, you need to have self-discipline in order to finish tasks given by your instructors. Since technology is the most important factor in this matter, one needs to get familiar and use it properly. A reliable computer and convenient internet are highly important in facilitating online education. We have established a collection of studying opportunities at HTLO, we offer top online course from notably course providers such as udemy. Check out our courses page for more details here! Aspiring Entrepreneur and Founder at How To Learn Online. Runs a successful eLearning marketplace and a resourceful educational blog.